James Forrester was born on 9 February 1981 and educated at St Edward’s School, Oxford. He played his early rugby at school and as a mini and junior for Bicester RFC. He joined Gloucester Academy in the 1999-2000 season and on Easter Monday 2001 he made his 1st XV debut at the Madejski Stadium against London Irish, scoring his side’s only try. He made an immediate impact as open side flanker the following season 2001-02 scoring hat-tricks of tries against Caerphilly at Kingsholm in a 98-14 pasting in the European Shield in October and against Bristol at the Memorial Ground in a 37-23 Powergen Cup victory in December. He played for England Under 21 and in March 2002 made his England A debut against Wales. At the end of that season he played at Twickenham in Gloucester’s 28-23 Zurich Championship Final victory over Bristol and in England’s 53-29 victory over the Barbarians. In 2002-03 Gloucester topped the Zurich Premiership and won the Powergen Cup. Forrester was a key member of the team, starting the season at open side and moving to No 8. He played in the England 7 and in March was Man of the Match when England A overpowered Scotland A 78-6, scoring two tries. His performance for Gloucester in the 40-22 Powergen Cup Final victory over Northampton was outstanding, scoring one try and making another with a typical surge and dummy. An operation on his elbow in 2002-03 and a dislocated shoulder incurred playing for England A against France A in 2003-04 impeded his progress but he finally won full England caps as a replacement in 2004-05 against Wales and Samoa. At the end of the 2004-05 season he demonstrated his versatility by playing in the centre for Gloucester, scoring two tries in a league match against Newcastle and also playing centre in the Wild Card Final against Saracens. In fine form at No.8 for Gloucester in the 2005-06 season, Forrester was unlucky to miss selection for the summer tour of Australia. The season did however provide another memorable moment for James Forrester and for Gloucester fans. The European Challenge Cup Final between Gloucester and London Irish went to extra time and with London Irish leading early in the second half Forrester delivered the coup de grace, collecting his own hack through to touch down for the decisive try. He was playing well again in the second half of the 2006-07 season when in April he suffered a horrific knee injury in a league match against Bristol at Ashton Gate. He missed the entire 2007/08 season due to a series of operations and intensive rehabilitation. Attempting a comeback he suffered a breakdown in an A League match against Sale and on 10th October 2008, it was announced on the Gloucester rugby website that he was to retire with immediate effect as a consequence of the injury. One of the best player around at the time. England and Gloucester did miss him. Quite surprised I am the first to comment. 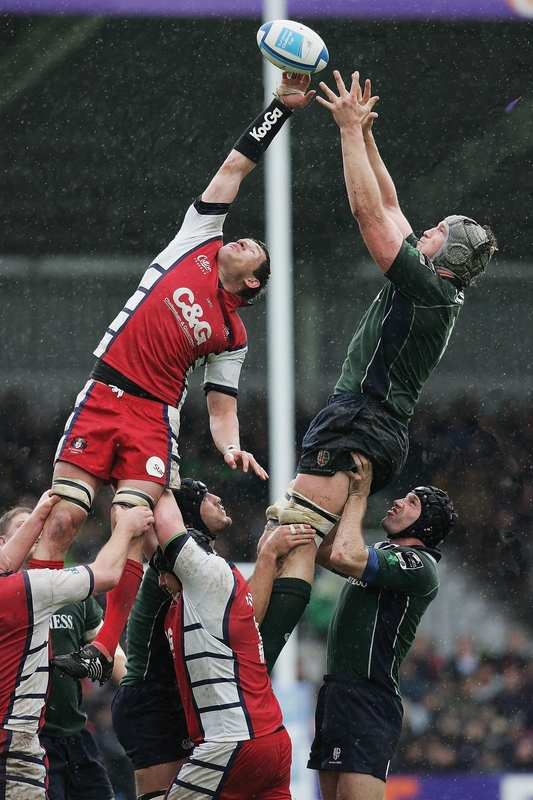 Despite his short career an undoubted Kingsholm legend.